Plans to reach 200 mark in next 2 years. Costa Coffee, one of the leading coffee chains in India, has reached the mark of 100 stores as iit launched a new outlet at Carter Road, in Mumbai. The new outlet introduces the new contemporary design aesthetic of Costa that reflects changing customer preferences and profiles and conveys a distinctly youthful vibe and a global verve in its brand new look. Besides the look and feel, the modifications also reflect in the new menu and the expanded range of food options, frozen desserts and snacks at attractive price points and localized taste. Speaking on the occasion, Ravi Jaipuria, Chairman RJ Corp which owns DIL credited the robust Costa-DIL partnership as a factor in its successful run in India and said “Costa Coffee enjoys strong brand recognition in India in just over six years of operations in the country and its future is extremely promising in view of the market growth in the coffee drinking sector”, adding that the group was looking to open another 100 stores over the next 24 months. 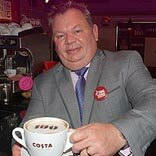 UK based Costa Coffee is the first international coffee chain to set up business in India in September 2005 partnering with Devyani International Limited (DIL) .